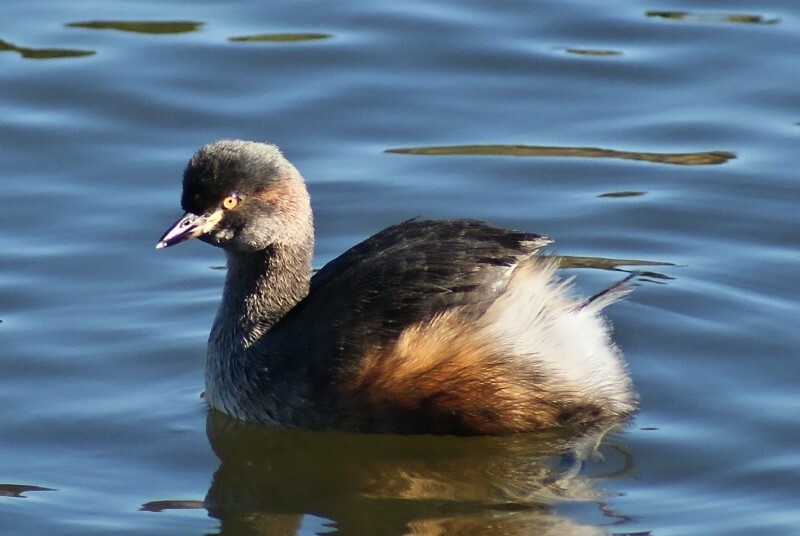 This small grebe is a close relation of the Little Grebe and like its relative, it dives often and deep (tachybaptus means 'deep diving' in Greek). 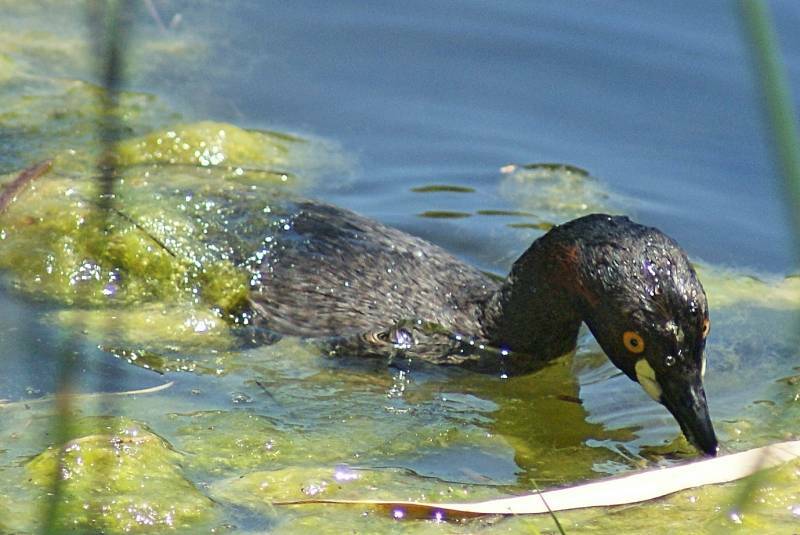 They are small birds at 25 cm, but can stay underwater for extended periods to feed on fish and other aquatic creatures. 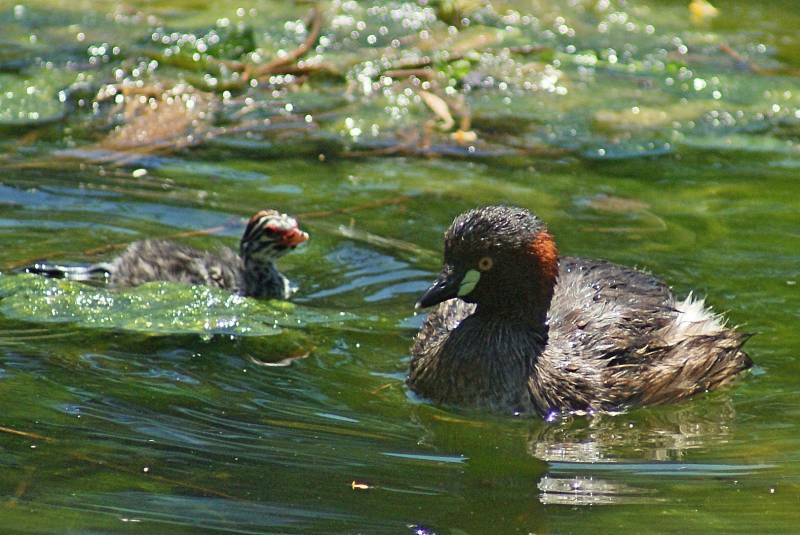 The chicks are tiny and striped, as are most other grebe chicks. The first two photos show adults in breeding plumage while the third is winter plumage, which is duller and more grey. 3: Sydney Park, Sydney, NSW, 24/06/2012.